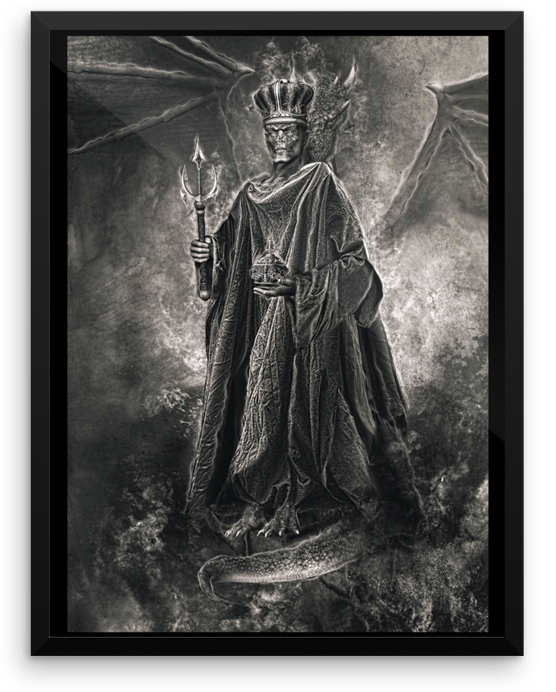 Lucifer is shown here as the King of all Infernal Spirits, as he is described in old grimoires and books of magic. He holds the royal insignia and is wearing the garments of the King of Hell. 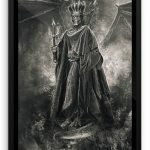 His face is demonic and so are his feet, showing his connection to the mysteries of the Current of the Dragon and his connection to the underworld.